The children are given opportunities to use construction kits and materials such as paper, card, wood, dough, plasticine and food to make things of their own design linked to the world around them or stories. 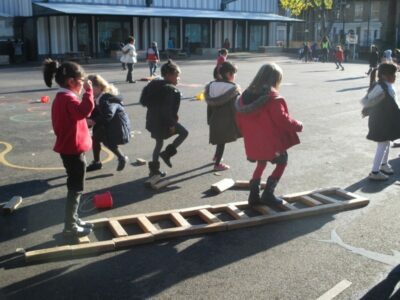 They acquire skills and understanding about the properties and uses of materials and how to join them together. They have a broad range of experiences using malleable materials and food. The pupils learn how to think imaginatively and talk about what they like and dislike when designing and making. They are given opportunities to build upon their early experiences of investigating objects around them. They explore how familiar things work and talk about, draw and model their ideas. They learn how to design and make safely and use technology, in its simplest form, as part of their designing and making. 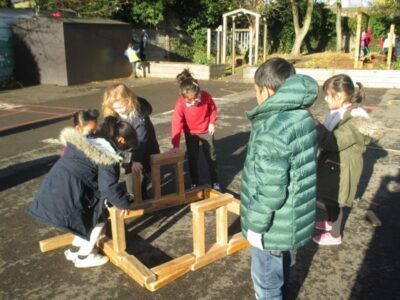 Design Technology is delivered through our topic sessions to give an exciting context for learning for example: wheels and axles through a topic on Space, structures through making bird boxes. Children are taught and given time to practise the skills they need to successfully make an object. Develop, plan and communicate their ideas. Work with appropriate tools, equipment, materials and components to make quality products. Evaluate the process used and products created. Investigate and evaluate a range of familiar products. Before using any equipment children are made aware of the safety rules and expectations of safe and sensible behaviour made clear. Tools are only be used for their specific purposes. Retractable knives are only be used by adults. Hacksaws, hand drills, vices, clamps, low temperature glue guns, hammers and hole punches are used with appropriate adult supervision.